How to go on volunteer trips around the world? According to one of the most influential leaders of our times, Mahatma Gandhi, the best way to find oneself is to lose oneself in the service of others. While it is true that we all find it hard to channel such kinds of thought in our own minds and acknowledge that we are not really altruistic beings we cannot deny that there is a special pleasure in bringing a smile to someone else's face. If you're looking to do the same the easiest way to bring not just a smile but to transform someone's life is to volunteer for nonprofit organizations. However you need to decide on the field in which you like to volunteer as there are a wide variety of subject areas and an array of issues that require proper management. Volunteering options can include childcare, healthcare, wildlife and environmental protection, construction projects and such. Each of these areas require and demand expertise and needs trained volunteers to perform tasks. It should also be noted that not everyone can go on volunteer trips around the world, such large scale projects that allow international volunteers require a particular level of experience and expertise from the part of the volunteers. 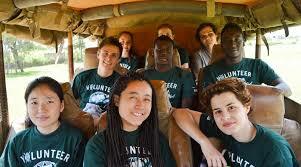 In the organization there will be volunteer travel experts who can give insight into international volunteer trips. You need to consider a lot of factors before volunteering yourself. International volunteer trips are often commitments that cannot be shrugged off in any way. You need to decide on the field you choose to volunteer for the service of other countrymen. You need to examine your own motivations for volunteering in the first place. You need to decode whether the trip would be worth it. International volunteer trips can do much for your preferred career path. Your exposure and your experience can aid you in your future endeavors in more ways than one. You also need proper training based on the kind of volunteering you've enrolled yourself in. If you're a nurse or a doctor health care would be the very obvious choice and if you're an academician teaching and training would be your obvious choice however you can also help in physical labour for building projects. Hope Homes in India are a nonprofit organization specifically interested in building sustainable, cost efficient buildings like homes that can withstand any kind of natural calamity. Contact The Hope Homes for the best volunteering options.